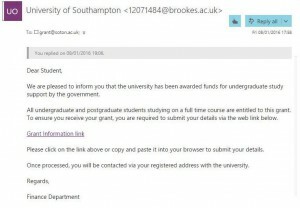 A new wave of scam emails that claim to be from the University of Southampton in relation to government grants have started entering the inboxes of Southampton students. 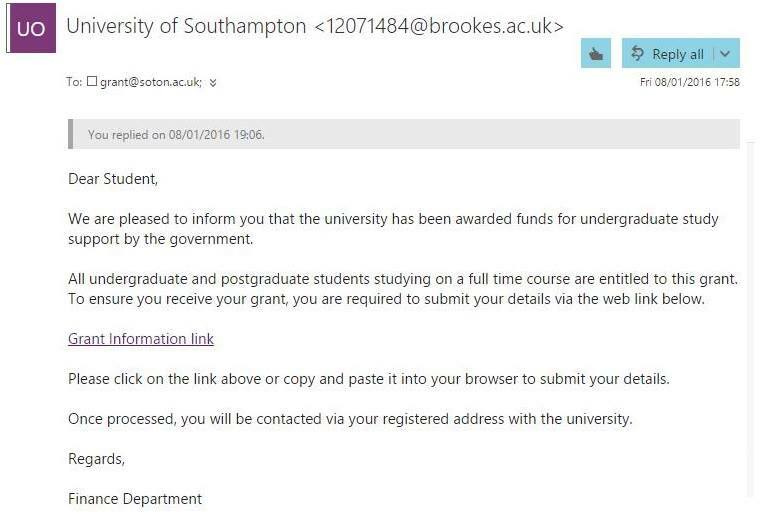 These emails have been confirmed as fake and fraudulent by University staff, and students have been advised to contact Student Services if they are unsure. Despite claiming to be from the Finance Department and looking and sounding similar to legitimate emails, there are some key differences that can help student tell the difference. 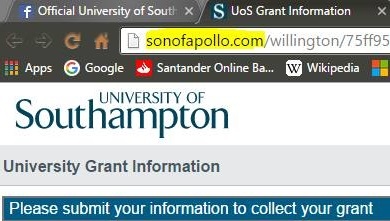 The top line of the senders address reads “12071484@brookes.ac.uk” rather than a University of Southampton account, and the link leads to “sonofapollo.com” when clicked. The link asks for details that would already be known to the University, and so would not need to be asked in a legitimate email.